RELEASE A BUTTERFLY FOR YOUR MOM FRIDAY AT THE SECRET INGREDIENT IN UPTOWN RICHMOND AS A FUNDRAISER FOR GIRLS INC. YOU MAY PURCHASE THE BUTTERFLY AT THE SECRET INGREDIENT WHICH INCLUDES A CHAMPAGNE BRUNCH. I'LL BE THERE 1130-1230! WE'LL RELEASE THE BUTTERFLIES AT 1230...SEE YOU AND YOUR MOM THERE! Resume help for you the job seeker! thought you or someone you may know might need this!!! What's your GUILTY PLEASURE SONG??? So I showed you mine, show me yours as Dave and I will be in Studio Noon to 6 on Saturday and Sunday playing guilty pleasures for you! If you share, you may hear yours!!! Are you without Health Insurance?? click story below!!! Need help cause you don't have health insurance? click me! Nadya, octuplet Mom...Disclaimer: normal pregnancy can be very beautiful...this is not normal. hello! I love your music list! you have good taste! you were a g1013 dj? Neat! well hope you have a good easter! Big Fan. Have a drink on me. Keep up the great work! http://generation-g.ning.com/video/the-beatles-rock-band-happy I love your page...and remember you dj-ing on the G...could you possibly tell me what happened to you? you were one of the good djs! well have fun on your birthday! Rock and Roll Mandi! Keep it sweet! thanks glad you liked it!!!! we always want the people to leave feeling they were entertained and had a blast!!! you will have to come catch a full show sometime alot more stuff we do that we cant do at all ages shows!!! were in new castle tonight at sheps and then the wheel saturday night!!! Could you possibly let your listening audience know that your G101.3 Battle of the Bands finalist Goodnight LA will also be playing @ the ('. 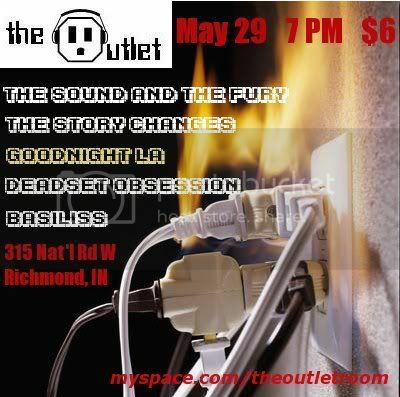 ')utlet this Fri, May 29! (And maybe play one of their songs? I like "Can't Stop Thinkin About You", & "Give It Up") They can find out all about it @ myspace.com/theoutletroom. (proceeds go to the family of a cancer victim) Please & Thank you again very much! thanks hope to see ya thursday rocked out in the 80's!!! We can see you with your hair teased up with some aqua net!! !